"It's the songs from the movie, we did not fit in any songs [from the Broadway show]. 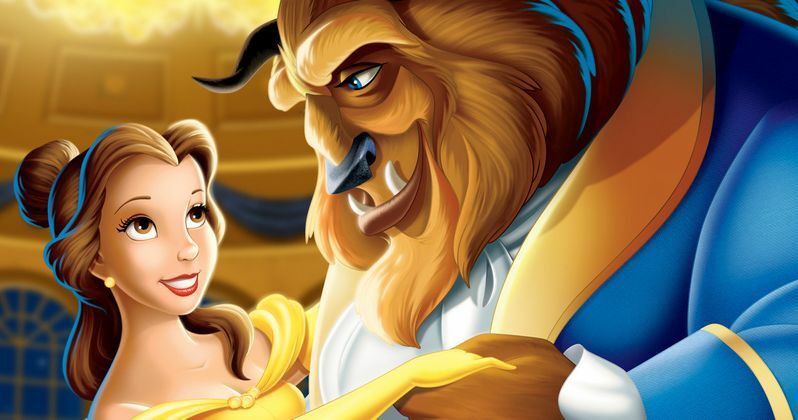 The song I would have fit in from the Broadway show is 'If I Can't Love Her,' but the Beast's moment in the film is a much later moment, it would not be 'if I can't love her,' it's 'I love her but -damn it- I'm letting her go.' That lyric wouldn't really work with that music. So we wrote another song called 'Forever More,' like 'I now know what love is.' There's another song called 'Days in the Sun' which is a lullaby as all the objects and characters living in the castle are going to sleep they're all singing about remembering before the spell. I think it's gonna be a wonderful movie." This new Beauty and the Beast music is in good hands with director Bill Condon, who won much praise for his musical Dreamgirls. The cast also features Dan Stevens as Beast, Ian McKellen as Cogsworth, Luke Evans as Gaston, Josh Gad as LeFou, Kevin Kline as Maurice (Belle's father), Emma Thompson as Mrs. Potts, Gugu Mbatha-Raw as Plumette, the feather duster, Ewan McGregor as Lumiere, and Stanley Tucci as a grand piano named Cadenza. While Beauty and the Beast won't be in theaters until 2017, we are getting the live-action remake of Disney's The Jungle Book in April 2016, followed by the sequel Alice in Wonderland: Through the Looking Glass just one month later in May.